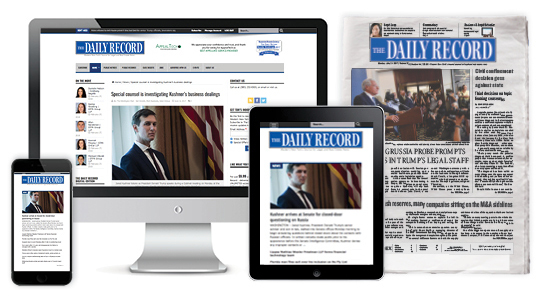 Monthly - Introductory rate - New subscribers get full access to nydailyrecord.com for just $5.99 for the first 4 weeks! 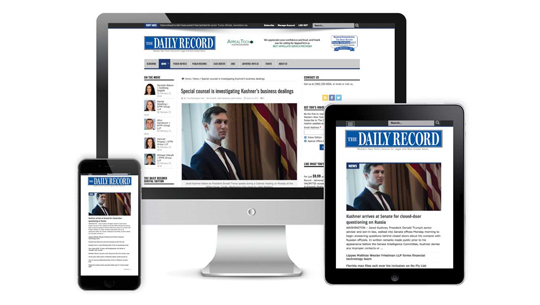 At the end of your 28-day introduction to The Daily Record your subscription will automatically renew at $15.00 a month unless you notify us otherwise. You may also switch to a single payment one-year rate at any time. If you are not satisfied, you may cancel your subscription at any time to terminate future monthly payments. Print & Digital access to Western New York's essential legal and real estate news, daily print editions Monday through Friday, searchable online public notice, professional announcements, opinions, legal jobs, court calendar and email newsletter featuring top headlines and digital edition. Print & Digital access to Western New York's essential legal and real estate news PLUS weekly foreclosure listings. Includes daily print editions Monday through Friday, searchable online public notice, professional announcements, opinions, legal jobs, court calendar and daily email newsletter featuring top headlines and digital edition. You'll also recieve early email notification of foreclosure listings before being published in The Daily Record.